One of the stand-out scenes from the acclaimed Blue Planet II series was when a tuskfish was filmed cannily smashing clams on an anvil. This is just one of the many extraordinary, perspective-changing sequences shot by Roger Munns, a British BAFTA- and Emmy-award-winning cameraman, who bases himself in the wildlife mecca that is Borneo. It is therefore a huge privilege to have Roger join this 20-day itinerary from Borneo to Singapore. It begins in his hometown of Kota Kinabalu. There he will give you insights into his career, before joining you on a tour of Borneo's flora and fauna highlights, including the Sepilok Orangutan Sanctuary, Gomantong Caves and Tunku Abdul Rahman National Park. Roger will also give an exclusive underwater filming masterclass in the coral islands of Tunku Abdul Rahman NP. But that is not all. For this trip also includes the chance the sail on the luxurious Star Clipper tall ship around Malaysia and beyond. This classic square-rigged tall ship is one of the great maritime experiences and there is no better way to discover the region - from the volcanic island of Pulau Tiga and the national parks of Miri, to the temples and nature trails of Bintulu. It promises to be a trip well worth capturing on camera - stock up on memory cards! Key highlights on this trip include the Gomantong Caves, the Sepilok Orangutan Sanctuary, and some of Malaysia’s finest national parks. You will experience and explore the wide, wild range of scenery that Borneo has to offer, from hot springs, to white sand beaches. 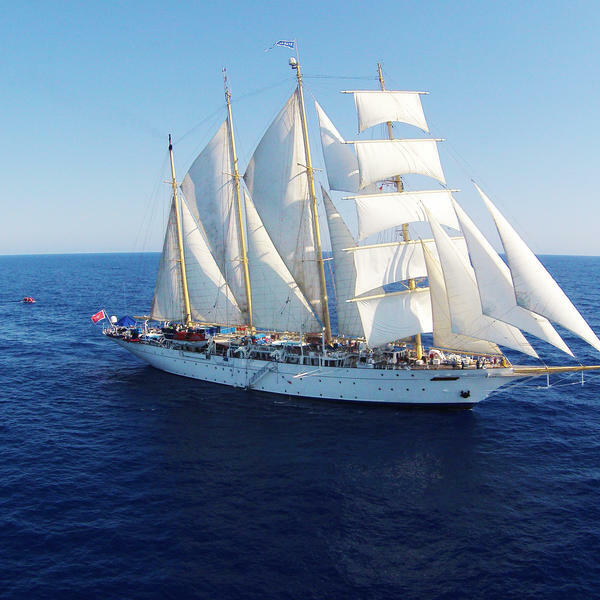 You will spend 11 nights on the elegant Star Clipper, a four-masted tall ship, complete with a library, swimming pool, and two bars. 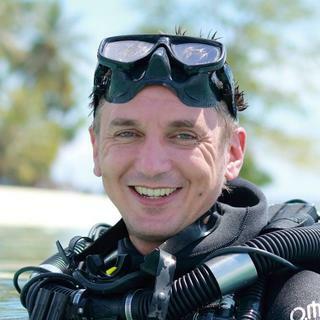 Based in Sabah, Malaysia, the multi-award-winning Roger Munns was one of the leading cameramen on the BBC's Blue Planet II series. He has filmed in a wide range of locations, from Borneo to Antarctica, and has captured some of the most groundbreaking underwater footage in recent times. Roger's mesmerising camera work also includes Life Story, which was also narrated by David Attenborough. * Price based on two sharing. Ship gratuities, drinks, shore excursions are not included in the tour cost. The from price for a single person is £6,999pp. 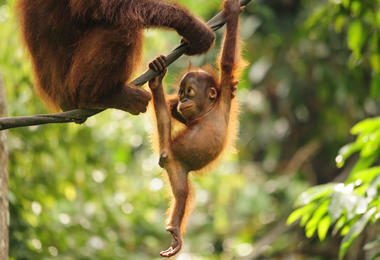 You'll depart from London on an overnight flight to Borneo, arriving on the morning of day two. On arrival at the airport you'll transfer to your hotel. Today you'll spend at leisure, settling in and enjoying the hotel facilities. Spend today at your leisure exploring the beautiful coastal city of Kota Kinabalu. There's plenty to see and do, from the bustling markets, to the lively waterfront. The Tunku Abdul Rahman National Park is just a short hop away, too. 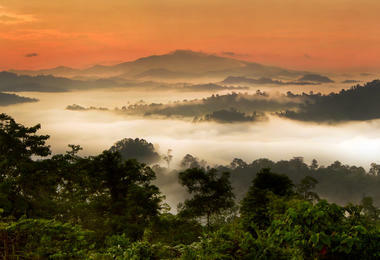 This morning you'll drive to Kinabalu Park, with a short stop at Nabalu village en route. 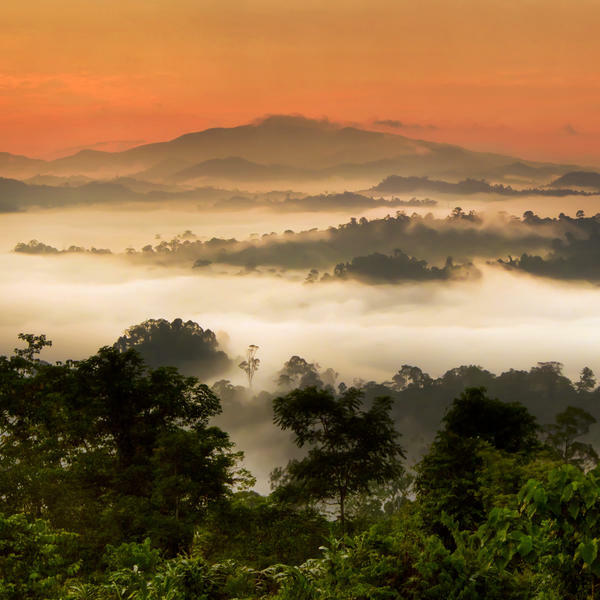 At Poring Hot Springs you can see stunning wildlife on the canopy walk 100 feet above the forest floor. Later that day you'll visit the Unesco World Heritage Site of Kinablu National Park. Here, you'll enjoy a guided walk and explore the mountain gardens, blooming with orchids, birds and butterflies. Today you'll fly to Sandakan where you'll be joined by Roger Munns at the Sepilok Orangutan Sanctuary. 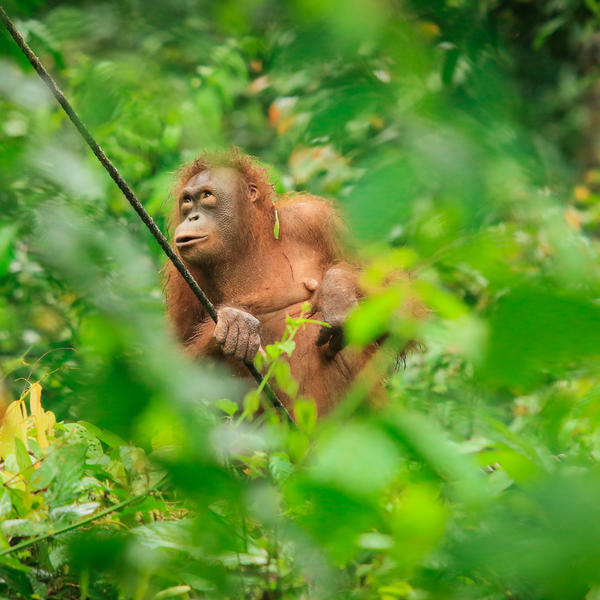 The sanctuary helps reintroduce captive orangutans into the wild. You'll also enjoy a stop at the Bornean Sun Bear Conservation Centre. During lunch you'll cruise along the Lower Kinabatangan River before checking into your hotel. This afternoon you'll search for proboscis monkeys and other wildlife on a cruise down the Menanggul River. Today, Roger will join you on a cruise down the longest river in Sabah. Listen to his photography tips while you observe the abundance of wildlife on the riverbanks. 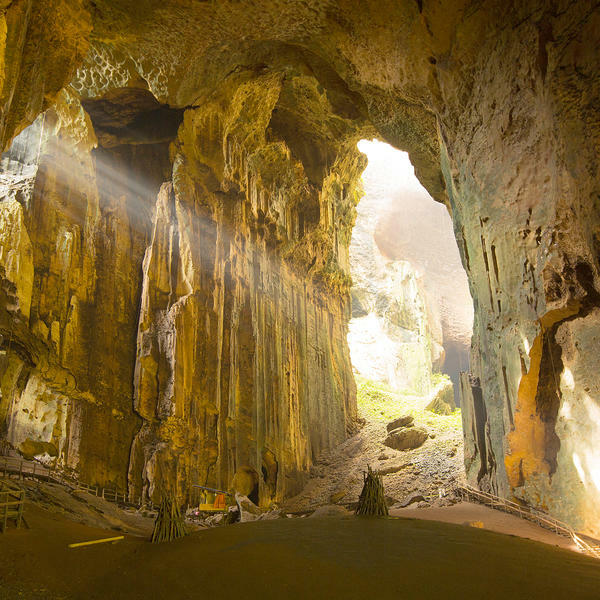 Next you'll visit the Gomantong Caves, home to millions of swiftlets and bats. Later today you'll enjoy a second river cruise. Tonight you'll hear a fascinating talk by Roger, when he will share insights about his life and career, as well as answering any questions you might have. Return to Sandakan and take a tour of the Australia War Memorial, Puh Jih Syh temple, Agnes Keith House Museum and a visit to a traditional market. Fly back to Kota Kinabalu for an evening at leisure. 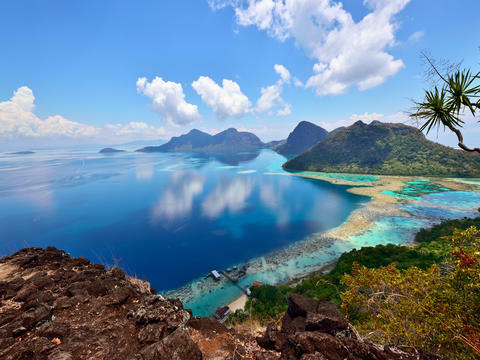 Set sail for the beautiful coral islands of Tunku Abdul Rahman Park, accompanied by Roger. Today Roger will teach an exclusive underwater photography masterclass, giving expert tops on capturing incredible wildlife shots. You'll have time to swim and snorkel afterwards, as well as enjoy a barbecue lunch. This afternoon you'll return to Kota Kinabalu mid-afternoon and enjoy the rest of your day at leisure. Today you'll embark Star Clipper, your home for the next 11 nights. The vessel boasts six categories of state room, a dining room, two bars, several swimming pools and even a library and you'll have plenty of time to settle in. 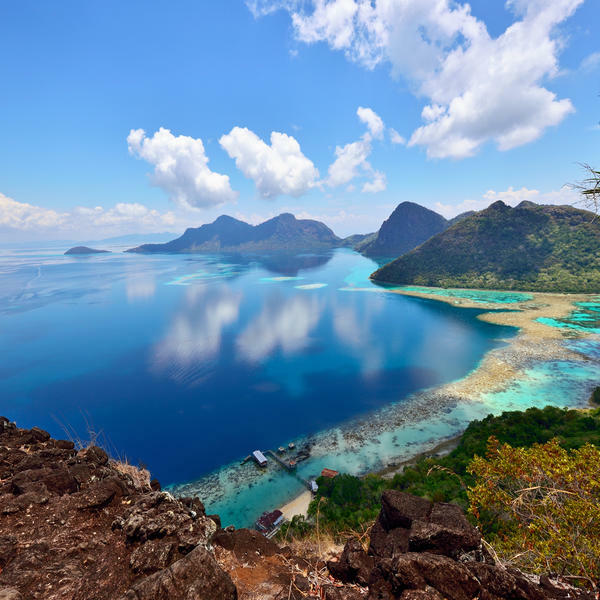 You'll sail to Pulau Tiga today, a pristine, uninhabited island off the western coast of Malaysia. Spend time snorkelling, swimming and batheing in the volcanic mud. Explore the capital of Brunei. Don't miss the Sultan Omar Ali Saifuddien Mosque, famous for it's opulent design, with hanging chandeliers and stained glass windows. You can also visit the Tasek Lama Recreational Park, which is made up of jungle trails leading to a spectacular waterfall. 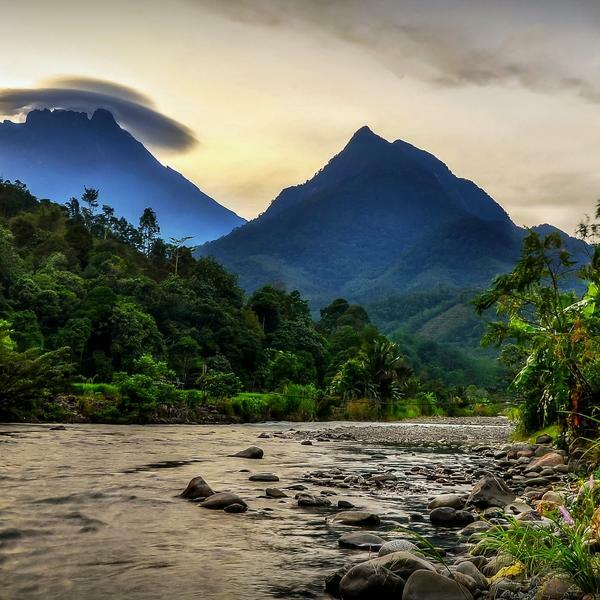 Enjoy free time to explore the highlights of Miri, such as Gunung Mulu National Park. Bintulu is a coastal town near the Similajau National Park. Spend the day how you wish, exploring the highlights of this spectacular area. Enjoy the ship's luxurious facilities as you sail to your next destination. Today you'll dock in Kuching where you'll spend the day at your leisure. Explore the city's many food vendors along the historic waterfront, or visit a museum. You'll spend two days at sea as you head for Nongsa Point Marina. Enjoy the passing scenery from the top deck, spend time in the ship's library or swim laps in the pool. Spend the day exploring the beautiful town of Nongsa Point Marina. After breakfast you'll transfer to Singapore airport and begin your journey home. 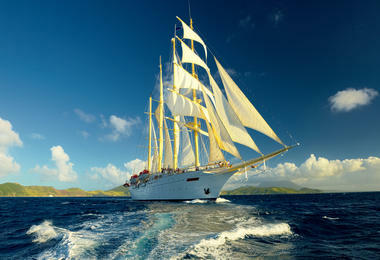 The elegant Star Clipper was launched in 1992 and is a replica of the traditional clipper ships of the 19th-century. The interiors hark back to the golden era, with plenty of polished mahogany and brass. In addition to the main dining room, there is also the Piano Bar, as well as the lively Tropical Bar, used for all manner of activities. The two small plunge pools are perfect for those days spent at sea, and there's always a fantastic programme of entertainment, fitness classes and workshops to keep guests busy. Cruise Direction specialises in luxury tailor-made cruise holidays and escorted tours. To view Cruise Direction’s supplier’s terms and conditions click here. Wanderlust is the UK’s leading independent travel magazine, delivering inspiration and advice to travellers seeking unique and enriching travel experiences.